There are a variety of build-to-order options, ranging from $20 for a white- instead of black-swirly-patterned lid to $30 for 2GB of memory and the same for a 250GB hard disk (or a hefty $210 for an 80GB solid-state drive). But as nice as the 11.6-inch screen and Ion graphics adapter are, we'd vote for a price premium of $50 to $70 rather than a full $100, at least until the Ion 2 version arrives. Though the Mini 311 is still hampered by the long-in-the-tooth Atom N280 processor, the Ion graphics make up for it. HD video and actual gaming capability on a netbook, plus HDMI-out and up to 3GB of DDR3 RAM? Heck yes. The Mini 311 is only the first in a doubtless long line of Ion-enabled netbooks, but if this is the shape of things to come, we’re excited. The HP Mini 311 alone could be looked at as a stylish and high quality netbook, but the infusion of Nvidia ION, and the performance that it provides, really pushes the Mini 311 beyond just good netbook, and in to the realm of great value. Adding to this value is a high resolution screen, good battery life, HDMI output, optional 3G cellular internet, and probably most importantly, a reasonable price. If you’re looking for the best of both worlds, you may be better off with the Asus Eee PC 1201N, which has NVIDIA ION graphics and a dual core Atom processor. It’s not as speedy at CPU-intensive tasks as the Acer Aspire 1410 or higher priced CULV powered notebooks. But the Eee PC 1201N will be faster than the HP Mini 311 at most tasks, and should offer similar graphics capabilities. If you're in the market for a netbook, it's hard to recommend any machine right now. Intel is widely expected to launch at least one (if not two) new Atom models at CES in just a few weeks, and while they probably won't be huge steps up from the existing N270/N280, they'll still be somewhat more capable. The 1.6GHz N270 in this machine is feeling old at this point. The Ion GPU definitely breaths new life into it, but at over $500, the particular configuration we tested still isn't as potent as we would like it to be. At the end of the day HP created a very nice netbook with an 11-inch screen, reasonably powerful graphics, and a nice keyboard ... and then crippled it with Intel's Atom processor. If all you want to do is very basic web browsing, email, social networking (Twitter, Facebook, etc.) and play World of Warcraft then the HP Mini 311 is a great ultraportable laptop. At $399 HP’s Mini 311 is almost impossible to beat right now. It offers up a lot of graphics power, a very good battery life, and a nice design. Not everyone is going to like the white and while it is available in black as well, both colors use HP’s swirl pattern on the lid. The system isn’t as nicely put together as HP’s business-class 5101, but it shouldn’t have any problems holding up. Obviously it scores a lot of points for having ION on-board, so once more ION systems are available there will be more competition and it could lose some luster. NVIDIA's ION platform for netbooks has a lot of interesting concepts. With the use of GPUs for more tasks — especially video decoding and editing — is it possible to pair a faster integrated GPU with an Atom processor and create a compelling system? 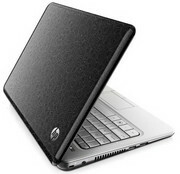 Comparing the HP Mini 311 with other Atom-based netbooks, we would be inclined to answer in the affirmative. However, Atom netbooks aren't the only game in town. Nvidia Ion graphics and built-in 3G wireless make this netbook a good value. With the HP Mini 311, Verizon Wireless is selling the first 3G netbook that performs like a notebook. Nvidia’s powerful graphics give travelers the ability to do more than consume media; they can now create it. Depending on your needs, this machine could be powerful enough to be your primary PC. We wish the touchpad were smoother and that the system lasted longer on a charge, but overall the Mini 311 is the best subsidized netbook yet for those who want broadband connectivity on the go. 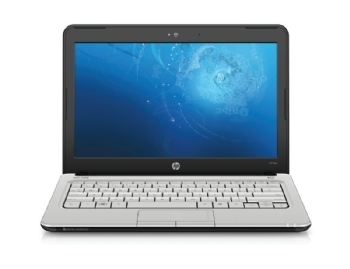 HP's Mini 311 is an 11.6in netbook that weighs 1.4kg. It's one of the first netbooks to come with Windows 7 Home Premium preinstalled. It's also one of the first to use NVIDIA's ION platform, with an NVIDIA system chipset and integrated GeForce 9400M graphics processor. A big screen, fast graphics and good hard drive performance are just some of the things to like about HP's first Windows 7-based netbook. It's a great unit for anyone who wants to view high-definition video content while on the go and it's comfortable enough to use for extended periods. The Netbook wars have heated up, with PC makers adding upscale features such as larger HD displays and faster low-voltage CPUs to systems, in an effort for push prices up past the usual $299-$399 range. 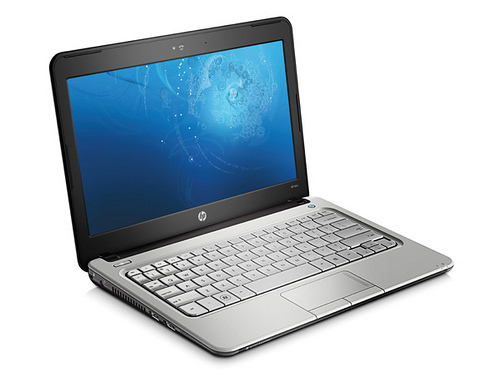 HP's Mini 311 adds a larger, high-definition display and advanced graphics to a basic Netbook, while keeping the price very appealing. Once it starts shipping with Windows 7, this could become our favorite Netbook. Talk—there's been a lot of it ever since Nvidia announced that its Ion chipset would allow netbooks to run full 1080p movie clips, speed up video transcoding, and play 3D games. Lenovo and Samsung announced they would carry Ion-based netbooks, but both companies have yet to produce one for retail. Leave it to HP to take the initiative with the first Ion-based netbook on the market. The Mini 311 offers moderate gaming and HD playback benefits, but they're not compelling enough to beat out other top netbook contenders. 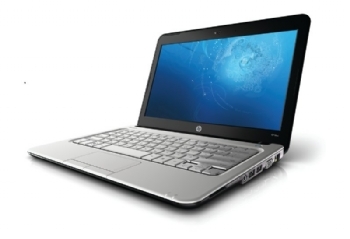 HP’s Ion-powered netbook delivers strong graphics performance and long battery life in a sleek package. With the Mini 311, HP has broken the netbook mold; no longer will users be limited to simple activities on these small systems, nor will they have to pay upwards of $600 for portability and performance. At its $399 price, consumers in the market for an inexpensive system can’t go wrong with this notebook. While we would have liked a better touchpad, the Mini 311 offers dramatic performance benefits in comparison to traditional netbooks while still offering nearly six hours of battery life. 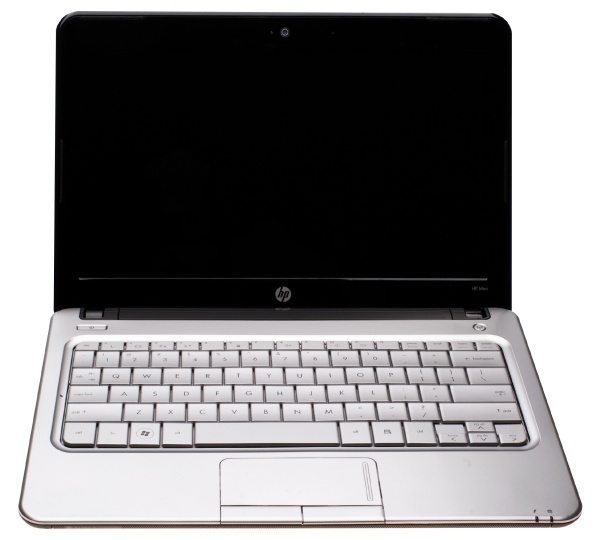 The HP Mini 311 is the first netbook with the NVIDIA ION chipset and graphics, which earns it praise and a smidgen of reservation. It's a great machine for the price and the graphics performance makes video playback other than high quality Flash video pleasant and gaming is a go. But we haven't seen the competition yet, so we can't tell you where it stands against yet to be released Ion netbooks. Given the standards control that Microsoft and Intel work on the netbook platform, we don't expect major differences from other brands however. 72.1%: This rating is bad. Most notebooks are better rated. This is not a recommendation for purchase.